Home » Bars, Cafés & Restaurants » Oktoberfest in…September? 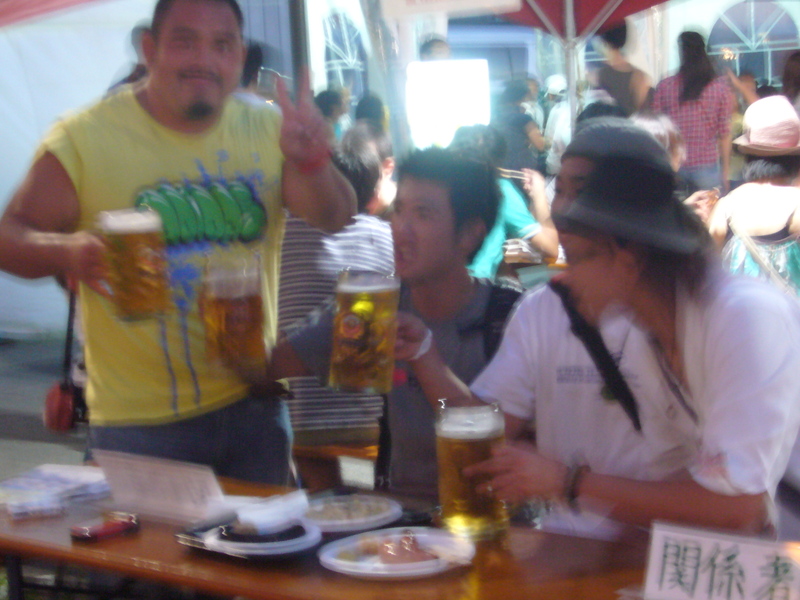 Yep, it’s pretty much Oktoberfest all summer long in Tokyo, where a roving beer party moves around from district to district between May and November. It’s set up for 10 days or so at each place, offering German-size German beers, exotic wursts, and musical entertainment that can only be described as…participatory. The stage show starts out as oom-pah bands and opera singers, but as vast quantities of beer are consumed by the locals, many feel inspired to sing along in falsetto with the divas and form a gigantic line dance snaking around the venue. Ha! Awesome note here. funny. It is true though, Oktoberfest in Germany is actually through the month of September!